Polebridge Press, Westar’s publishing imprint, publishes reference works for biblical scholars; scholarly books produced by Westar projects and scholars; and materials that disseminate the results of critical scholarship on religion to the public. I have been an Associate member of Westar ("The Jesus Seminar") for over 20 years, and it has changed my life. Where else can the general public listen to, ask questions of, rub shoulders with, and get to know biblical scholars on a personal level? Nowhere else! Click here to find out about Westar, the Jesus Seminar, and becoming an Associate member. Controversial during his lifetime and ever since, the apostle Paul is not an easy historical figure to understand or like. Many have accused him of being homophobic and misogynistic, anti-Semitic, dogmatic, narrow-minded, prejudiced, and downright obtuse. There were four different portraits of Paul in the early church: the non-authoritarian Paul of the great Letters, the authoritarian, misogynist Paul of the Pastoral Epistles, or the frenetic missionary who single-handedly introduced Christianity to the Mediterranean world. Which is the real Paul? The Greek of Paul's writings can be understood differently so that Paul's message is not about personal guilt, but about the trustworthiness of God, and Jesus courageous faith in God as a role model for others. This is how Paul s letters are translated in this book. 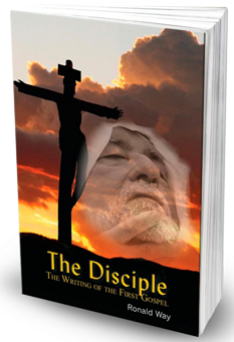 Here readers will encounter a very different view of Paul and his message. A slow rumbling, that has been building up among New Testament scholars for the past twenty years, is only now beginning to make its effects felt on a more general public. A new Paul is beginning to emerge, one who differs from the Paul of the traditional church that has co-opted him for almost two thousand years. Embracing the Human Jesus is a sincere effort to think anew about Christianity and Christian practice on the foundation of a purely human Jesus. Galston points out that, whether taking the apocalyptic or non-apocalyptic view, virtually all scholars see Jesus as a participant in the Jewish wisdom tradition. On this often marginalized foundation, Galston proposes that the trajectory of the ancient wisdom of Jesus can be grasped in the contemporary world and can find life in the thinking and practices of a new church.Includes sample liturgy, hymns, and other helpful reflections from a real community attempting to follow the wisdom path of a purely human Jesus. The question of the historical Jesus is not only an historical question but also an historic one. And historic questions can be the most scandalous, says Joe Bessler, because they challenge the assumptions governing societies. In his book, the author seeks to capture the historic questions that surround and shape the quest for the historical Jesus and its impact on theological and cultural life today. He also talks about Salman Rushdie and Islam, which has yet to start this journey into its own past.